In case you haven’t heard: the month of July is dedicated to Harry Potter on AGeekyGal! If you would like to get in on the madness, go to this master post and follow the instructions. 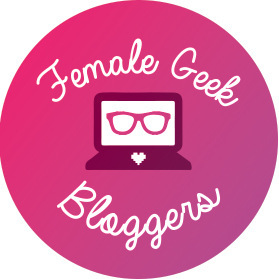 Feel free to use my banner above for your blog post! Finding adult Harry Potter inspired games was quite challenging! There’s a million and one drinking games and so many games meant for kids. I dug through them all and managed to find a few that may strike your fancy (as they certainly struck mine). Give your friends this cool quiz to start the party off right. From cupcakes to the host choosing for you, this quiz may the best way for the sorting hat to put you in your house (unless you’ve all taken the Pottermore quizzes!). Looking for a cheap DIY game? Look no further than Table Quidditch. Perfect for any age group but you can make it adult -friendly with some beer like traditional Beer Pong. You don’t have to use alcohol for this game but it might be more fun with it. Team up with other members of your house for this game! Speaking of drinking games… Check this out. It’s one of the best I’ve found and is pretty detailed. Have some fun with it and add your own! Have your guests up (house vs. house) for the ultimate HP trivia game. Each pair gets a turn. The first one to belt out the correct answer gets a house point! Each round gets harder with more in depth questions! Above is a spell sheet that could be used. As your guests arrive, give them an envelope containing an assignment card of Auror or Death Eater and a pin (I love the Death Eater pin from Undeaddee & this cool Auror Owl pin from fairycakes). These are to be kept secret! The goal of the game is for the Aurors to catch the Death Eaters and the Death Eaters to foil the Aurors’ attempts. Explain the game after everyone arrives. – Guests secretly whisper the incantation “Accio badge” to another guest. That guest must then trade pins with the attacker, without being noticed. – If another guest witnesses a switch in progress, they must say “Expelliarmus”, and the switch is foiled. – All guests produce their assignment cards, and Aurors gather together and so do the Death Eaters. Whichever side has the most Auror badges is declared the winner. What games would you like to play at a Harry Potter party?